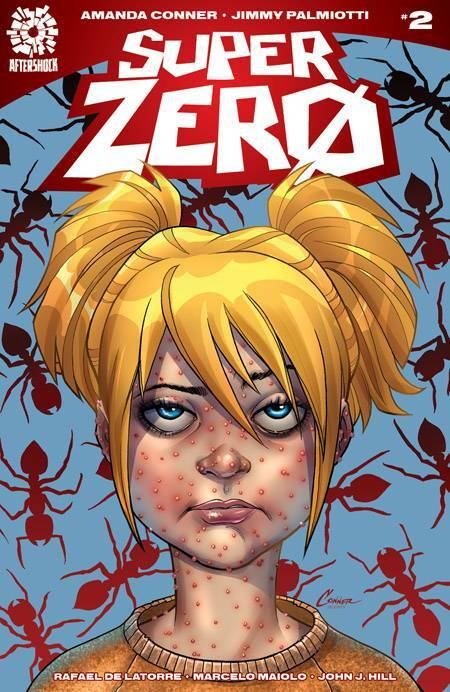 Dru has a surprise guest as her initial plan to become a superhero falls apart and a new plan to radiate some insects is put into effect...and executed to alarming results! This fun, teen-agnst filled monthly series is created by the sensational writing duo that brings you Harley Quinn and Starfire--Jimmy Palmiotti & Amanda Conner. Aided by new art phenom Rafael de Latorre, this series will pack more punches than an ultimate fighting bout!